Immerse in Dutch culture both traditional and modern – flowers, windmills, and canals. Homes, shops, and parks line the living waterways of the Netherlands, allowing passengers on the Panache in Holland a remarkable opportunity to view the Dutch people at work and play. 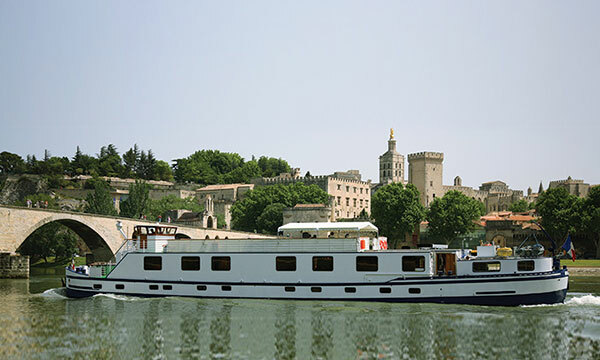 A spacious and contemporary two-story vessel, the Panache gleams with elegant décor and chic design. Roomy cabins offer generous storage space, and the modern bathrooms feature a double sink. Handsome leather couches in the lovely salon provide the perfect perch for enjoying a glass of wine with friends or cozying up with a good book and a cup of tea. Those who appreciate more active pursuits can stroll or cycle along the towpath, perhaps after a refreshing soak in the hot tub. The inviting deck also offers a large picnic table for drinks and meals al fresco, while the wonderful sight lines are perfect for taking in Holland’s living waterways. The lovely salon and grand dining room are bright, chic, and comfortable. Besides a visit to the famed Keukenhof Gardens and drives through the tulip fields, guests intimately explore Holland’s small cities, town squares, and historical attractions. Cuisine spotlights regional flavors and iconic ingredients, while sumptuous cheese platters naturally feature a range of delectable Dutch selections. Wine pairings range from Old World classics to New World discoveries, hand selected by the attentive crew. In the afternoon, you will be met by a crew member of the Panache at the designated meeting point. From here, relax as you are chauffeured to the barge, moored in the delightful town of Alkmaar. A traditional champagne welcome and introduction to the crew awaits you, before your first of many gourmet dinners aboard. End the evening with a nightcap in the hot tub. Perhaps visit the Alkmaar cheese market, before our first cruise to Zaanse Schans near Amsterdam, a place renowned for its charming wooden windmills. This afternoon, your Tour Guide escorts you to the delightful Dutch harbor town of Enkhuizen, which boasts a remarkably well-preserved historic center. 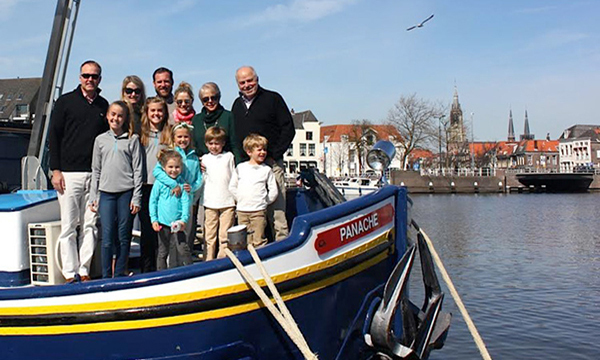 Visit the fascinating open-air conservation area and museum to explore the maritime history of the Zuiderzee. 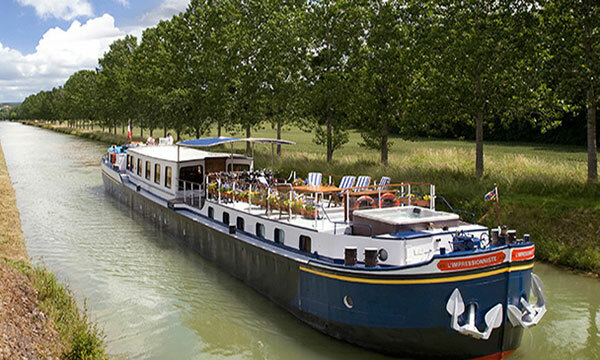 Return to the barge where Chef presents a gourmet dinner onboard. Flowers Galore at Keukenhof Gardens! A morning cruise is the perfect time to relax on deck or take a dip in the hot tub. This afternoon's visit is to the Keukenhof, known as the “Garden of Europe”, and is one of the world's largest flower gardens. Approximately 7 million flower bulbs are planted annually, covering 72 acres. This vibrantly colorful and aromatic experience allows visitors to admire tulips, along with hyacinths, daffodils, and other spring bulbs, all in an elaborate display. Return to the barge to freshen up for dinner ashore at a local bistro. An early morning visit brings you to the world’s largest flower auction in Aalsmeer, where some 10 billion flowers are sold every year. This morning, visit the Frans Hals Museum in the picturesque town of Haarlem, which houses a celebrated collection of Old Masters and other artworks representative of the Dutch Golden Age. Return to the barge for an afternoon cruise. Enjoy the scenery from the deck, or, upon mooring, explore the canal's path with a gentle pedal or leisurely stroll. Cocktails and canapes precede tonight's gourmet dinner. This morning's cruise provides the perfect opportunity to laze in the hot tub, or relax on deck with cup of coffee or tea. This afternoon we take a tour of Leiden on by private boat. Home to one of the oldest universities in the country and the birthplace of Rembrandt, Leiden is full of charm and character, a perfect place to explore on a bicycle, or simply stroll the banks of the pretty tree-lined canals. Enjoy free time to explore Leiden's many local cafes, antique dealers, and specialty shops. Return to the barge for drinks and dinner. 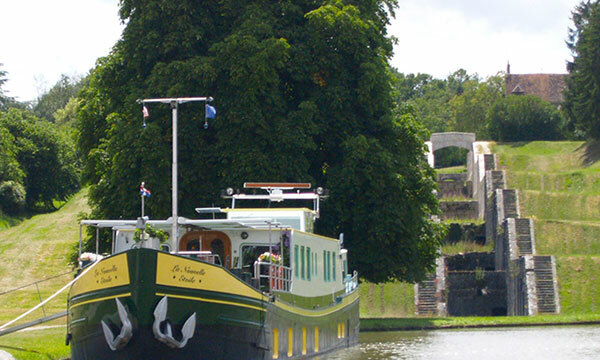 Relax on deck during this morning's leisurely cruise to the city of Delft, once the seat of the royal House of Orange. This afternoon's sightseeing includes a visit to the Royal Delft factory, the last surviving “pottery” of more than 30 that once existed, reveals both the history and future of this beloved artisan icon. Watch the artists carefully and passionately paint the ceramics in the famous cobalt blue. Cocktails and canapes precede tonight's celebratory Captain's Dinner.